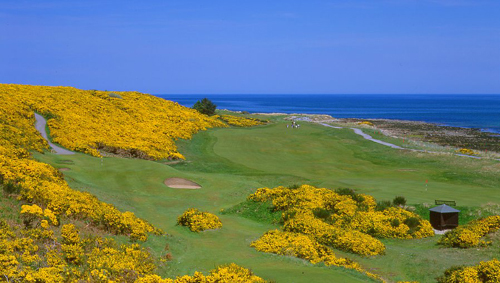 Our annual 10 night / 11 day Scotland Golf Tour in July takes in the best Links courses in the home of golf including St. Andrews Castle Course, Kingsbarns, Carnoustie, Gleneagles, Royal Dornoch, Cruden Bay, Nairn, Castle Stuart and Royal Dornoch golf courses. 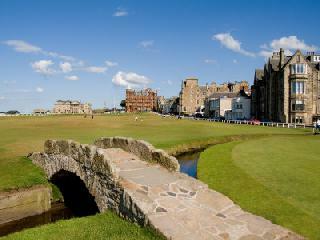 This is a veritable feast of Scottish Links golf for the connoisseur. Scotland has so much to offer with some of the world's finest links courses, friendliest people, fantastic scenery, good food and of course whiskey galore to be enjoyed along the Scottish Whiskey Trail. Join our small group (Min. 8 & max. 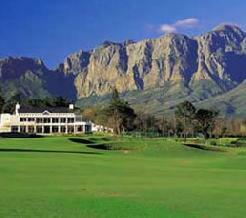 16 golfers) for a golf trip of a lifetime. 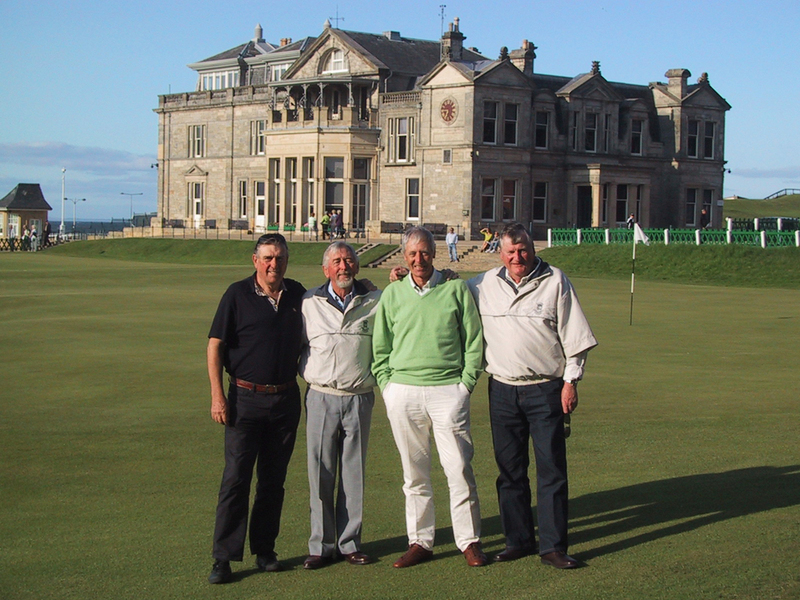 The tour starts in Edinburgh where you will be met on arrival and taken in a private luxury coach to your single room bed & breakfast accommodation in St. Andrews, for a 6 night stay before moving to Cruden Bay then Nairn in the Highlands for another 4 nights. Pre or Post tour extensions can be arranged for those wishing to stay longer. 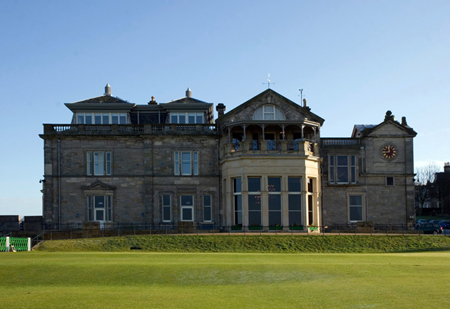 We will enter the Draw for a round at The Old Course - St Andrews each day and, because we are staying in St. Andrews for 6 nights, the chances of a game on the Old Course are very good . Arrival at Edinburgh where you wil be met and taken to your hotel in St. Andews. 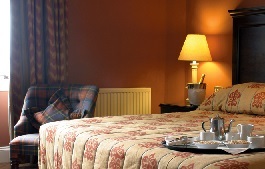 Relax after your journey before enjoying a walk around this beautiful Scottish town that is immersed in history. Evening at leisure to wander around to find a restaurant of your choice and maybe to try out one or two of the famous Malt Whiskeys Scotland is renowned for. 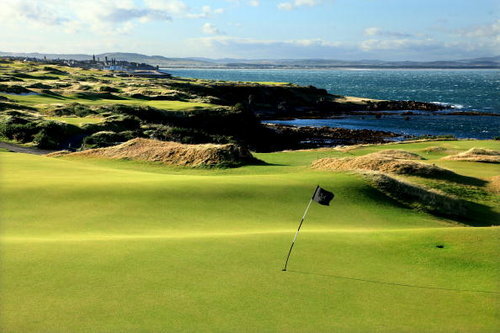 Golf today is on the best of the 7 golf courses in the St. Andrews stable - The Castle Course which is not only a wonderful test of golf but, like its near neighbour Kingsbarns, is breathtakingly beautiful. After a leisurely breakfast we drive to nearby Kingsbarns Golf Club. This superb, world renowned links, is one of Scotland's finest and will leave an indelible impression - definitely should be on everyone's Bucket List. 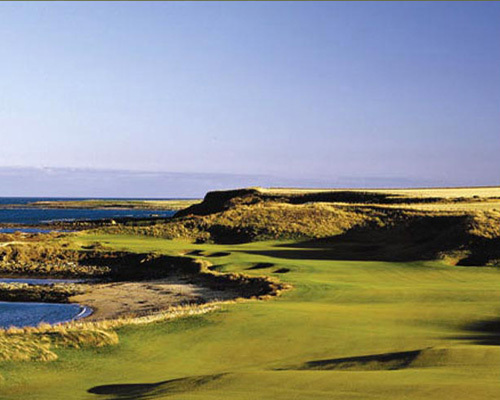 Kingsbarns clubhouse is a perfect venue for a few after-golf drinks and a late lunch or early evening dinner. A day at leisure today to go on the whiskey trail and / or, if we are lucky enough to be drawn for The Old Course at St. Andrews - the cherry on the top - 18 holes and golf's ultimate experience. 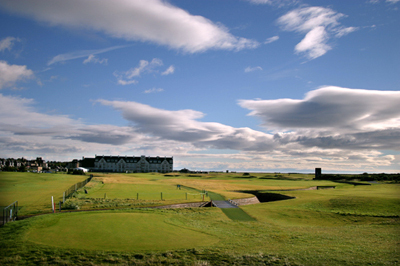 Carnoustie awaits you today. 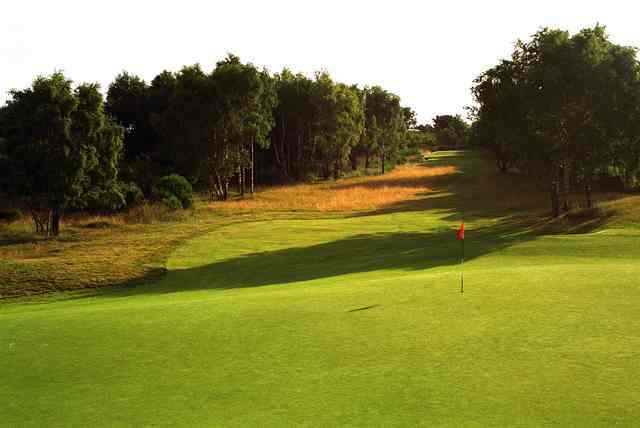 A favourite of the pro's on The Open Championship roster, though perhaps not for Jean Van Der Veld, this is one very tough golf course that requires careful club selection if you want to score well. Carnoustie was the home of the Open Championship in 1931, 1937, 1953, 1968, 1975, 1999 & 2007 and Ernie Els, Tiger Woods, Colin Montgomery, Padraig Harringtons and Phil Mickelson have all variously described it as one of the best golf courses in the world and a great test of golf. Should we not be drawn for The Old Course at St. Andrews today, then a drive to Gleneagles to play either the Kings Course or the new PGA Centenary Course. a Jack Nicklaus modern classic, that hosted the 2014 Ryder Cup. A feature of the PGA Centenary Course is the feast of views of the spectacular countryside in which Gleneagles is set. Putting on the two-tier second green, you are distracted by the lush panorama of the rich Perthshire straths. As you move westwards over the next few holes, the rugged Grampian Mountains come into view on the right, then distantly purple ahead, Ben Vorlich and the mountains above the Trossachs. Departing St. Andrews after breakfast we drive northward past Aberdeen to the quaint town of Cruden Bay where we check into the historic Kilmarnock Arms Hotel. 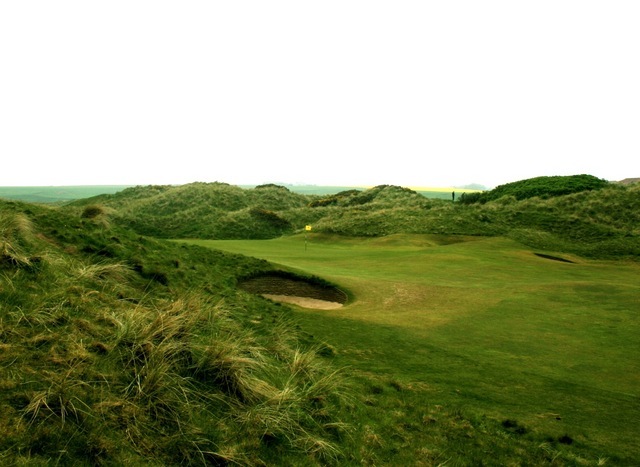 This afternoon you will play one of the most breathtaking, yet less known, golf links in Scotland - Cruden Bay. 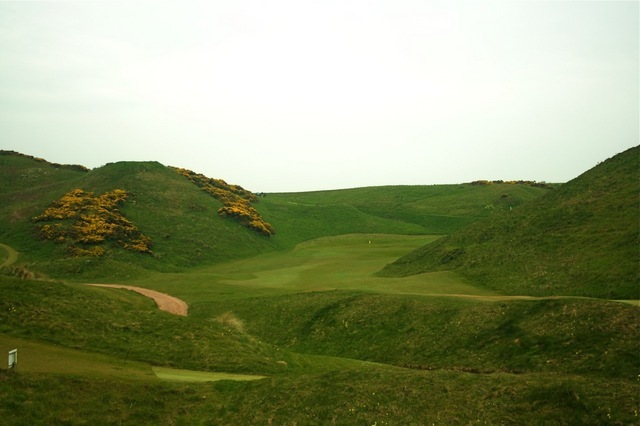 Cruden Bay Golf Links 7th and 10th holes. On teeing off, the first two holes appear to be straightforward par fours but from the 3rd onwards this course just gets more and more beautiful with the fairways wending their way through huge natural dunes alongside the sea. 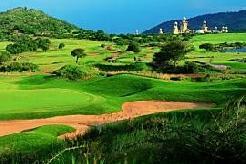 It is the most exciting links that we have ever played. Dinner this evening at the hotel which is renowned for freshly caught seafood. 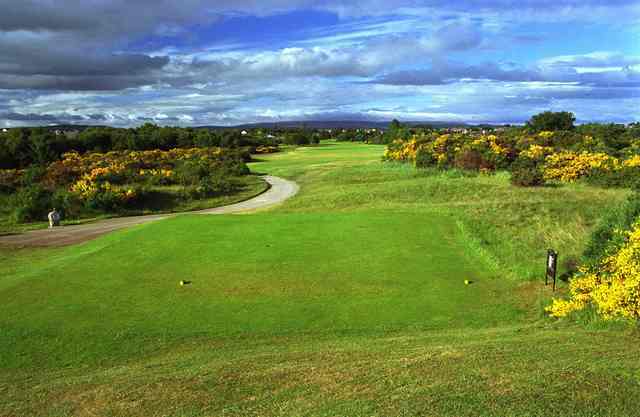 After breakfast we drive westward to the Scottish Highland town of Nairn and settle into the Golf View Hotel overlooking the Nairn Championship Links and Moray Firth. An afternoon tee time on the Championship Links to enjoy the late evening light in this part of the world during summer where you can play golf until after 22h00. Today we set off for a golfing pilgrimmage to Royal Dornoch along the Dornoch Firth. 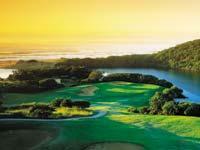 This is one of Tom Watson's favourite golf links. Although a 'Royal' club for over a 100 years, with exceptional standards, you are guaranteed a warm and friendly welcome in a relaxed, informal environment, where an emphasis is placed on traditional highland hospitality. 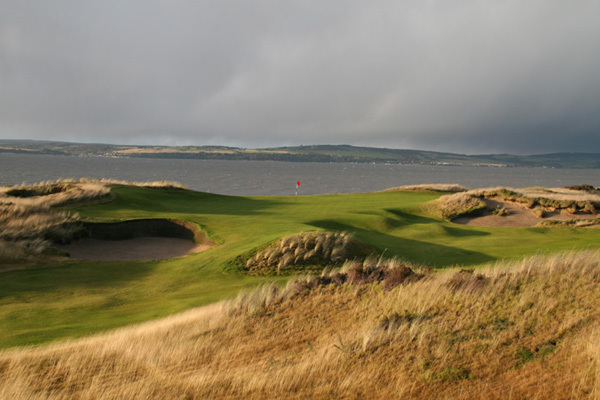 Royal Dornoch GC is consistently rated in the top 20 courses in the world and currently ranks number 4 in the UK and Ireland. 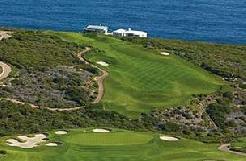 It is a definite 'Bucket List Course' for the ardent golfer. After golf and a bite to eat at the club and time permitting, we will visit the Glen Morangie Distillery on our return to our hotel, for a tasting of one of Scotlands finest malt whiskeys. A leisurely breakfast before driving to nearby Castle Stuart Links, home to the 2011 Barclays Scottish Open. This new course designed by Mark Parsinnen and Gil Hanse is a masterpiece of golf architecture that is both visually breathtaking and a fine test of golf. 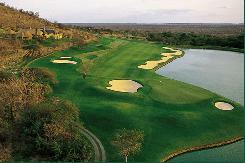 When walking onto this course it is difficult to know in which direction to look as the scenery is stunning in every direction. A fitting end to our Bucket List Golf Tour, many golfers may feel that this may just be the best. Castle Stuart club house is superb and offers decor and food to match the stature of the course. A Prizegiving ceremony and a few beers to celebrate what will be a golf tour of a lifetime before we head back to our hotel. 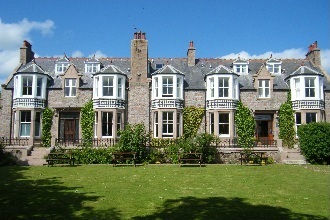 Check out after breakfast andreturn to Edinburgh for the flight home or extend your stay as preferred. 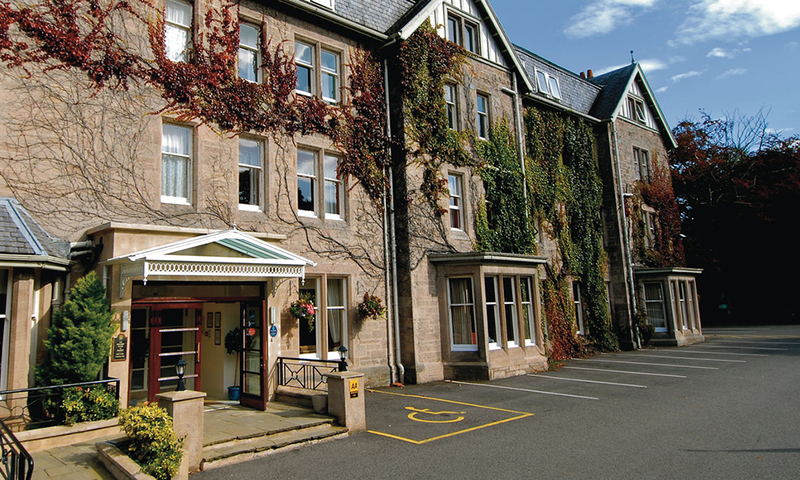 Our selected accommodation in St. Andrews is in Agness Blackadder Hall Hotel, part of St. Andrews University, in single room accommodation with en suite bathroom and a traditional Scottish breakfast. 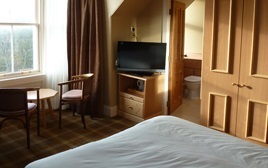 The Kilmarnock Arms in Cruden Bay is our choice of hotels with accommodation in twin shared rooms (single rooms if required carry a supplement). 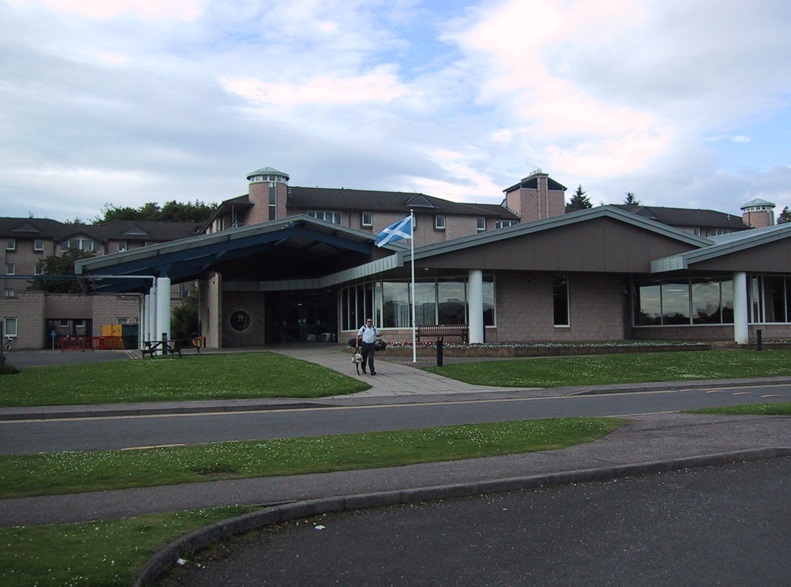 In Nairn, we have chosen the four star Golf View Hotel which overlooks the Moray Firth and adjacent Nairn Golf Links where accommodation is in twin shared rooms (single rooms if required carry a supplement). Throughout our tour we will be travelling in a Luxury Coach specifically fitted out to our groups requirements and our experienced driver has a fund of knowledge on Scotlands history and places of interest.